Standard Daytime Running Lights (DRL) help boost the profile of Yaris iA, no matter the weather. 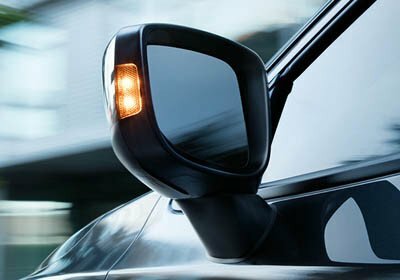 So on those sunny day, rainy days and everything in between, the stylish DRL help you see and be seen. Yaris iA will surprise you in a lot of ways - including the amount of stuff you can fit inside. With its standard, versatile 60/40 split fold-down rear seats, you'll be packing more in your Yaris iA than you thought possible. Access your music and more - your way. Yaris iA comes standard with a 7-in touch-screen display audio system that you control by directly touching the screen. If you prefer buttons, you can also use this system via the control knob located between the seats. 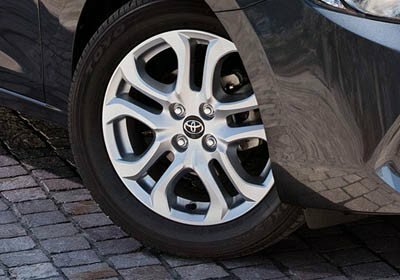 The advanced Tire Pressure Monitor System (TPMS) comes standard on every Yaris iA. 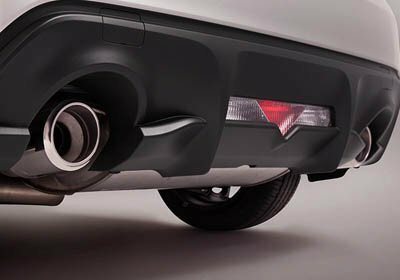 Designed to monitor the tire pressure at all times, it alerts the driver when tire pressure gets low.